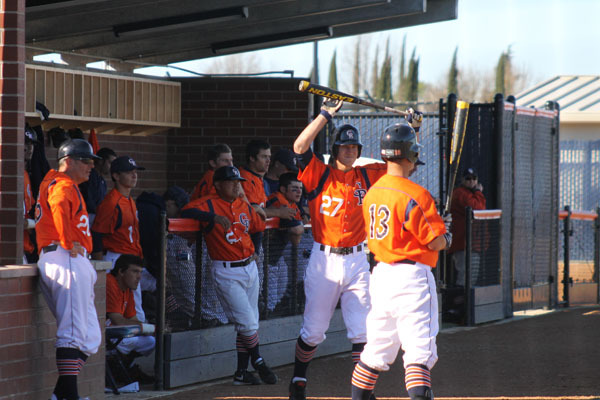 Hawks' freshman pitcher Zach Stilwell waits on deck while freshman utility Kyle Von Ruden is in the hole on March 9. 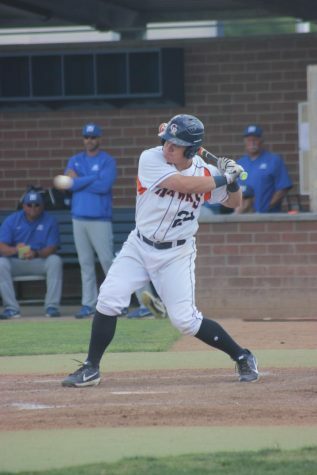 Fresh off a win in the second of a three game series against the Sacramento City Panthers, the Hawks’ hoped to end the series on a high note but were overcome late in the game. 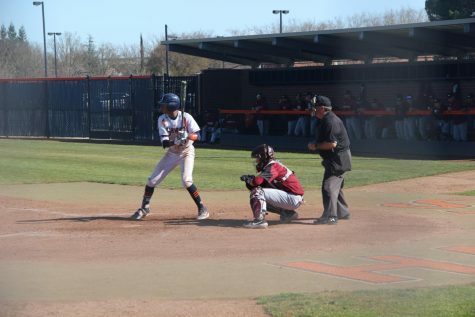 Hawks freshman pitcher Shane Martin managed to shut down the Panthers for two innings until the top of the third inning when Sac City’s freshman outfielder Jake Sexton scored a run, as Hawks’ sophomore catcher Bryan Case dropped the ball. 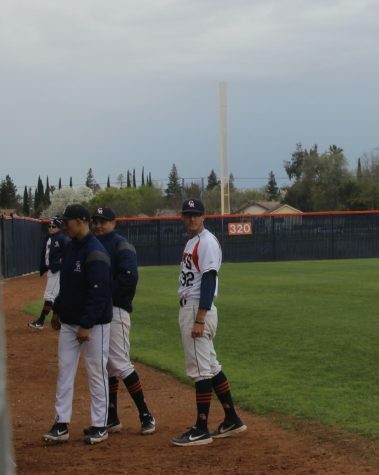 The Hawks continued to attempt to score in the bottom of the third, but Sac City would not allow that as sophomore pitcher Matt Maher contributed to a double play which resulted in the end of the inning. The top of the fourth inning began with a switch from Martin, to freshman pitcher Zach Stilwell. 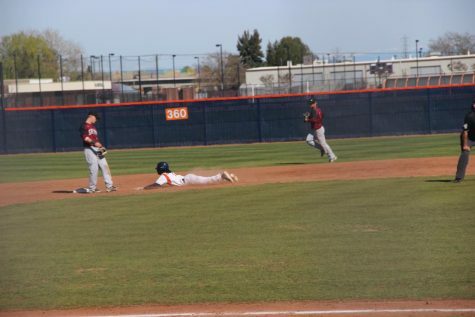 Stilwell’s pitch to City’s sophomore infielder Orlando Ortiz resulted in a double play in which Ortiz and freshman outfielder Jared James were tagged out. 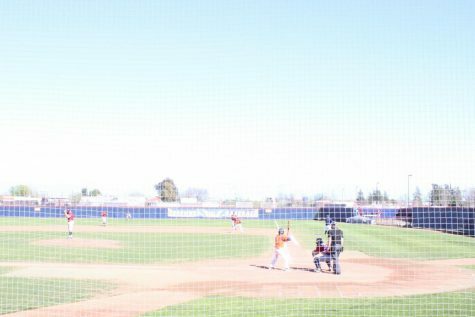 Hawks’ freshman infielder Hunter Carolan scored a run at the bottom of the fifth inning after sophomore infielder Luke McDonald hit a double. With the bases loaded, Stilwell came to bat and was walked allowing McDonald to score, leaving the bases loaded and the score 2-1, in Hawks’ favor. 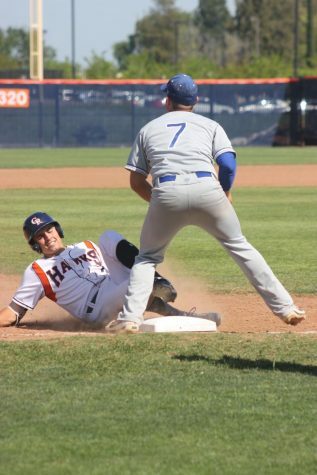 The Hawks continued to hold the Panthers back from scoring any more runs until the top of the eighth inning as sophomore infielder Anthony Enriquez and freshmen utility Marc Fackrell scored two more runs, leaving the score at 3-2, in Panther’s favor. 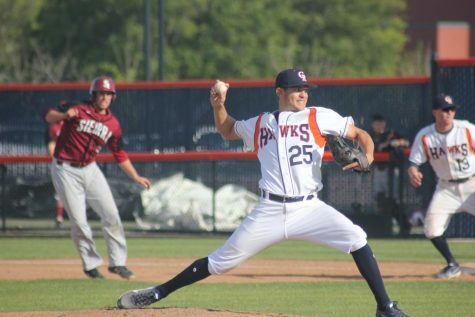 In an attempt to keep Sac City from scoring, Hawks’ sophomore pitcher Blake Harrison relieved Stilwell before striking Ortiz out, bringing an end to the inning. 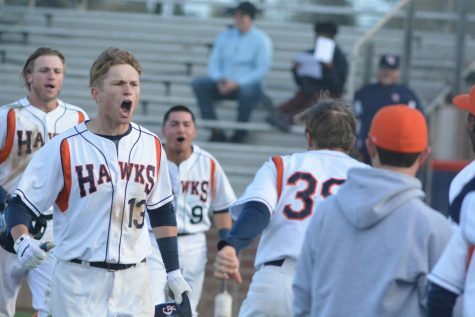 The Hawks tried to rally back, but the ninth inning sealed the deal. 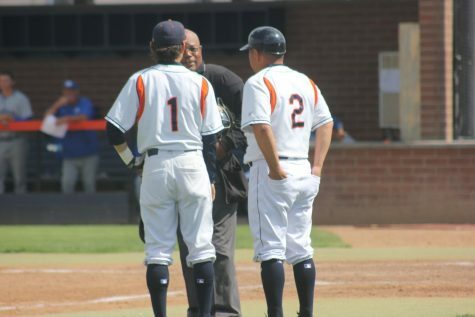 The Panther’s scored four more runs bringing the score to 7-2, Panther’s favor.